Allan I. Mendelowitz is currently a leader of Project ACTUS and a strategic advisor with Deloitte Consulting, LLC. Following the financial crisis of 2008 he co-founded and co-led the Committee to Establish the National Institute of Finance. The objective of this volunteer organization was the passage of legislation to correct the government’s deficiencies in data and analytics needed to better regulate financial institutions and markets and to monitor threats to financial stability. In that capacity he developed and executed the committee’s legislative and communications strategies that resulted in the creation of the Office of Financial Research in the Dodd-Frank legislation. Previously he served as Chairman and Member of the Board of Directors of the Federal Housing Finance Board, the independent federal regulatory agency that was responsible for regulating the Federal Home Loan Banks. Before joining the Finance Board he served as Executive Director of the U.S. Trade Deficit Review Commission, a congressionally appointed bipartisan panel; Executive Vice President of the Export--‐‑Import Bank of the United States; and as the Managing Director for International Trade, Finance, and Economic Competitiveness at the U.S. GAO. Dr. Mendelowitz was formerly an Economic Policy Fellow at the Brookings Institution and on the faculty of Rutgers University, where he taught courses in international trade and finance and urban and regional economics. His articles have appeared in the Journal of Business, the National Tax Journal, the Journal of Policy Analysis and Management, the Financial Times, Risk Professional, the American Banker, and other publications. He has also testified before the U.S. Congress more than 140 times. His education includes economics degrees from Columbia University (A.B.) and Northwestern University (Ph.D.). Barbara Stcherbatcheff is a best-selling author, journalist and frequent economic commentator. In addition to her role as the Swiss correspondent at Mergermarket, she is the Switzerland correspondent for Newsweek. She has contributed to numerous publications, including BBC television and radio, Al Jazeera English, CNBC, and Vanity Fair. She regularly speaks at and moderates conferences around Europe, including the EBS Symposium, Hedge Fund World Zurich and World Commodities Week. Damian Imboden is Head of Treasury & FX at Swiss Life. 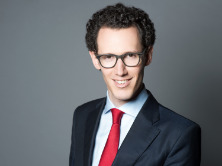 In his prior roles, Damian was Group Treasurer at Winterthur Group, Head of Treasury Management at Zurich, and also held various functions at UBS in the areas of risk management, quantitative risk modelling, and strategic planning. Damian holds a Master in Economics from the University of Berne. He is married and has 3 children. Franklin Meimoun (born 1979) is the Head of Group Treasury of Union Bancaire Privée, UBP SA. Franklin is married since June 2008 and has 4 wonderful children (3 boys and a girl). After a Bachelor’s degree in Finance at the University of Montpellier, he completed a Master’s degree in Finance & Trading at the ESLSCA Paris Business School. Since November 2009 he’s also FRM Certified. After 5 years in Equities markets and 5 years in the Treasury of HSBC Private Bank SA, Franklin joined UBP SA in August 2011 to manage the investment portfolio. He has been promoted to the position of Group Treasurer in June 2012. Currently he’s responsible of OTC Derivatives infrastructure projects for the whole Group. UBP successfully implemented EMIR/DFA Reconciliation, Dispute Resolution and Reporting Obligations by transforming and rationalizing its internal OTC Derivatives infrastructure which was a vast and complex project due to sizable Asset Management and Alternative Investment activities and an external growth strategy. In addition, UBP was also successful in confirming and clearing CDS & IRS under DFA for its funds. UBP is working on confirming and clearing under EMIR/LIMF and building an efficient collateral management process covering all business needs. Marco Chinni founded Primecoach in October 2008. Despite the difficult conditions in autumn 2008 he mastered the start-up phase of the company very well. Regulatory and business consulting are core competencies of Primecoach AG. Thanks to consulting mandates from well-known companies and the acknowledgement of his consulting services by major auditing agencies Primecoach soon attained a good position in the market. Apart from his functions he often and with pleasure accepted different training projects relating to collective investment schemes. Michele Montefiori is the Head of Capital Markets at EUROFIMA, European Company for the Financing of Railroad Rolling Stock. He joined EUROFIMA in July 2007 in the Capital Markets and Treasury team and was promoted to his current position in December 2009. In his role, he is responsible for both the lending activity to the national railway operators in the 25 member states and the borrowing activity in the debt capital market. Prior to joining EUROFIMA, he worked in the banking sector in Italy in project and structured finance, and in the Netherlands in leveraged finance. He holds an MBA degree from the Rotterdam School of Management (The Netherlands) and a Master of Science in Economics from the University of Genoa (Italy). Oliver Grimm works as a Senior Strategist for the City of Zurich Pension Fund (Pensionskasse Stadt Zürich). Oliver joined the City of Zurich Pension Fund in 2010. In his role, he is responsible for the development and implementation of the investment strategy, the execution of ALM analyses, and for handling regulatory affairs in the derivatives market. Moreover, he has the responsibilities for the external mandates of currency hedging, and foreign currency denominated fixed income. Before joining the Fund he was working at the Center of Economic Research at ETH Zurich as a PostDoc. Oliver had lecturer positions at the Cooperative State University Mannheim, Centre for European Economic Research in Mannheim, and the Wirtschaftsakademie Pfalz. Oliver studied economics and holds a PhD from the University of Heidelberg, Germany. Regula Berger MLaw, LL.M. is a member of the senior management of Zürcher Kantonalbank. She has great experiences in the field of documentation for trading businesses such as OTC derivatives, securities lending and repurchase transactions as well as structured products. Furthermore, Regula has profound knowledge in the new legislation on the market infrastructure in particular the clearing obligation for derivative business. Besides, Regula acts as lecturer for several topics concerning financial market law but also for fundamentals of legal. As a sideline Regula works in an honorary capacity as a justice of peace. Seth Lloyd is a professor of quantum-mechanical engineering at MIT. Dr. Lloyd's research focuses on problems on information and complexity in society and the universe. He was the first person to develop a realizable model for quantum computation and is working with a variety of groups to construct and operate quantum computers and quantum communication systems. Dr. Lloyd has worked to establish fundamental physical limits to precision measurement and to the accuracy of the global positioning system, and was the recipient of the 2012 international prize for Quantum Communication, Measurement, and Computation. Dr. Lloyd's work on complex systems currently focuses transitions between stability and instability in complex dynamical systems. He is the author of over a hundred and fifty scientific papers, and of 'Programming the Universe,' (Knopf, 2004). Stephen G. Cecchetti is Academic Dean and Professor of International Economics at the Brandeis International Business School. Before rejoining Brandeis in January 2014, he completed a five-year term as Economic Adviser and Head of the Monetary and Economic Department at the Bank for International Settlements in Basel, Switzerland. During his time at the Bank for International Settlements, Cecchetti participated in the numerous post-crisis global regulatory reform initiatives. This work included involvement with both the Basel Committee on Banking Supervision and the Financial Stability Board in establishing new international standards. Professor Cecchetti has held a number of positions including Barbara and Richard M. Rosenberg Professor of Global Finance at the Brandeis International Business School, Brandeis University in Waltham, Massachusetts, USA; Executive Vice President and Director of Research at the Federal Reserve Bank of New York and editor of the Journal of Money, Credit and Banking. In addition to a textbook entitled Money, Banking and Financial Markets, Professor Cecchetti has authored numerous articles in top scientific and policy journals focusing on macroeconomics and monetary policy. He has been a regular contributor to the Financial Times and is a founding contributor of VOX a policy portal. Professor Cecchetti’s commentary on economic and financial affairs, written with his collaborator Kermit L. Schoenholtz, can be found at www.moneyandbanking.com. Professor Cecchetti holds an undergraduate degree from the Massachusetts Institute of Technology and a doctorate from the University of California Berkeley. He is married with two children. Tim Frech is working as a Senior Specialist in the Risk Management Department at Swiss Financial Market Supervisory Authority (FINMA). In his position he works on different regulatory projects (“Basel III” and derivatives regulation). Tim is working for FINMA (previously EBK) since 2006 in various roles in the risk management and banking supervision department and represented FINMA in different international working groups and working groups at the Basel Committee on Banking Supervision. In 2013 Tim had an assignment with the Federal Reserve Bank of New York. Before joining FINMA, Tim has been working as Research Assistant for the Swiss National Bank (Study Center Gerzensee). Tim studied economics and holds a PhD (Dr. rer.pol) from the University of Konstanz. Wolfram Klingler is co-founder and managing partner of the XTP Group. XTP advises institutional investors on how to increase implementation efficiency, optimise cost structures, close performance-leaks and reduce operational risks. XTP runs its analysis with forensic meticulousness and provides transparency throughout the implementation process regarding risks, costs and performance. Before joining XTP, Wolfram worked for a private equity group, focusing on investments in restructuring and turnaround situations. Prior to that, Wolfram was a Director at GAM (Global Asset Management) where he focused on managed portfolios, hedge funds and alternative investments. Wolfram has 15 years of financial industry experience.